COROZAL–Corozal police have reported that they have no suspects, nor do they know the motive, for a puzzling murder that occurred just before daybreak this past Saturday, November 1, in the quiet village of Concepcion, Corozal District. 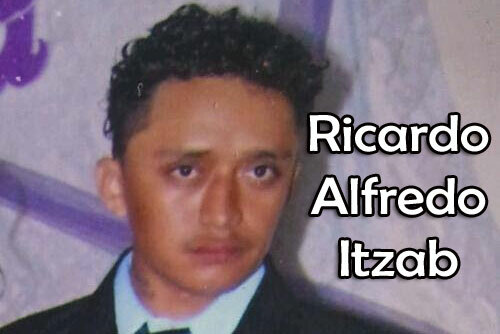 Authorities said that at about 5:15 a.m. on Saturday, they went to the Northern Regional Hospital in Orange Walk and observed the body of Ricardo Alfredo Itzab, 24, a resident of Concepcion, with an apparent gunshot wound to the right lateral chest area and an exit wound in the left lower back. Investigators later found out that Itzab, Miguel Gamboa and Oscar Herrera, all of Concepcion, had been walking in a westerly direction between Miles 76 and 77 on the Philip Goldson Highway, heading towards their homes when they were approached from the opposite direction by a lone bicycle rider dressed in dark clothing and wearing a mask, who fired a single gunshot in their direction, causing the fatal injury to Itzab. Itzab was rushed to the Corozal Community Hospital before being transferred to the Northern Regional Hospital, where he was pronounced dead on arrival at 4:35 a.m. on Saturday, November 1. His body now lies at the Northern Regional Hospital morgue, where it is to undergo a postmortem exam. Since Corozal police have no clues as to what led to the homicide, they are seeking the public’s assistance in their efforts to bring the perpetrator to justice.